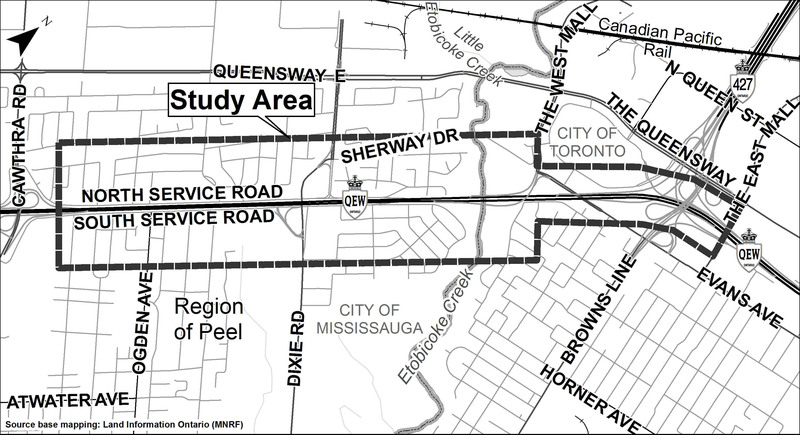 Pavement rehabilitation from west of Etobicoke Creek to The East Mall. Questions regarding construction should be directed to the Contract Administration Team – GHD Limited, by e-mail at 2018-2001@ghd.com, or phone at 905-752-4344. 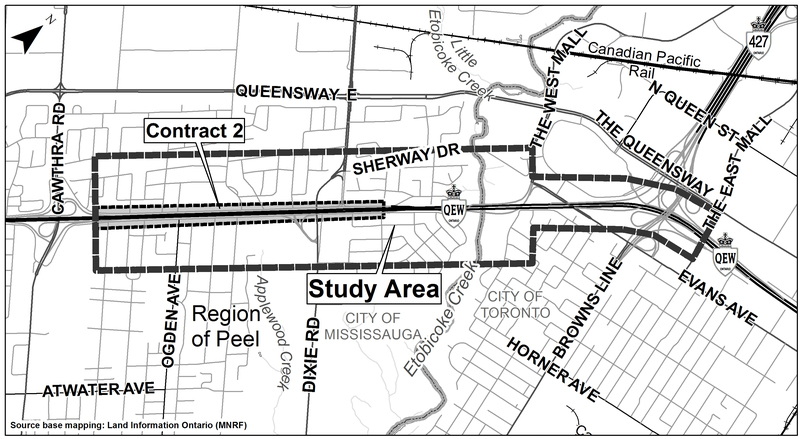 MTO is currently undertaking the Detail Design and Class Environmental Assessment Study for Contract 2 of improvements to the Queen Elizabeth Way (QEW) from east of Cawthra Road to east of Dixie Road. The project limits are located in the City of Mississauga, Region of Peel.